Did you forgot your password? Click here to reset. Al Ain University of Science & Technology (AAU) Journal of Business and Law is an official refereed publication of AAU. It publishes peer-reviewed research articles in the fields of Business and Law on the basis of scientific originality and interdisciplinary interest. The editorial board and associated editors, composed of prominent scientists from around the world, are representatives of the disciplines covered by the journal. 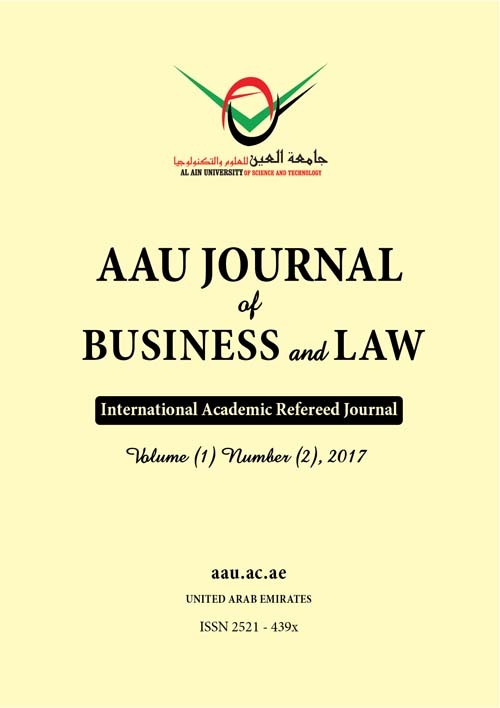 Copyright © 2018 Al Ain University of Science & Technology. All Rights Reserved.